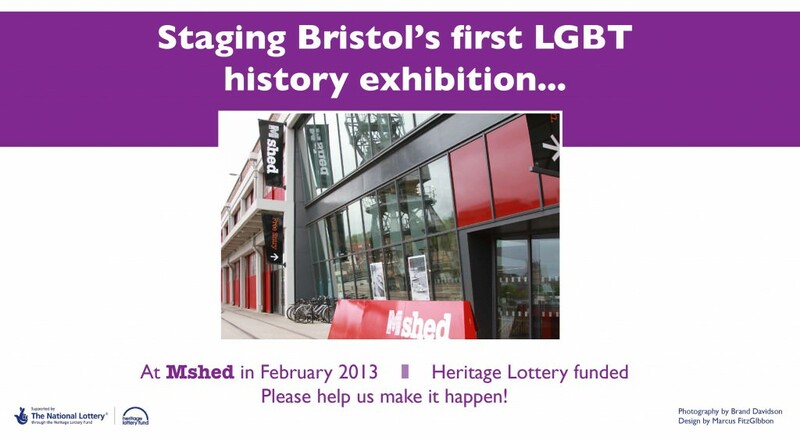 OutStories Bristol are staging ‘Revealing Stories’, Bristol’s first ever exhibition of LGBT history, at M Shed throughout February 2013 and coinciding with LGBT History Month. Focusing on living memory (c. 1950s to the present) the exhibition will tell the story of how people in Bristol started to build LGBT communities and define our role in wider society. It will be followed by a traveling exhibition that will tour public libraries in Bath, Yate and Weston-super-Mare. Find out more – and get involved!